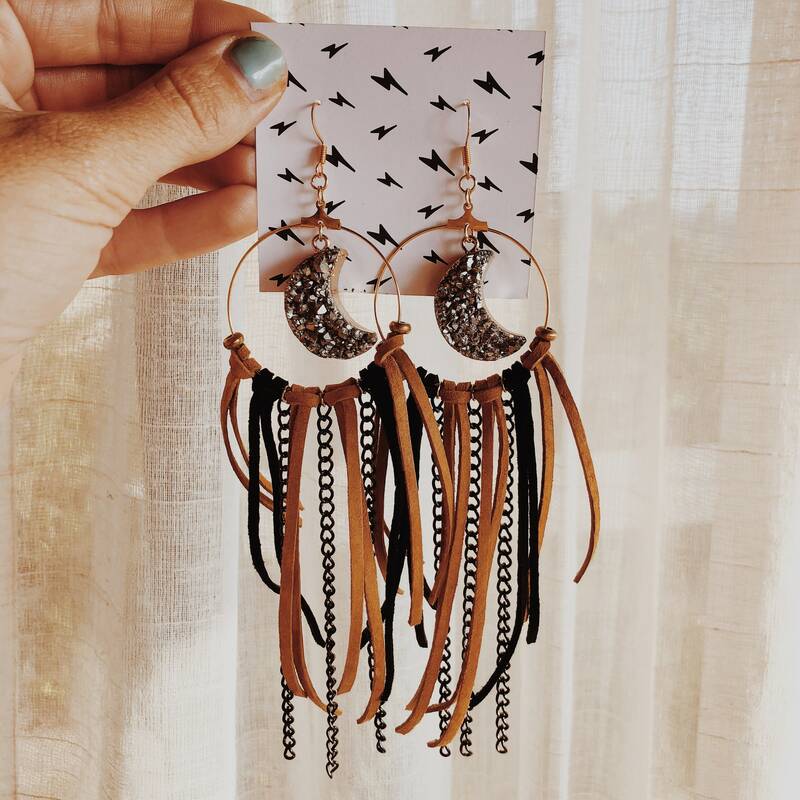 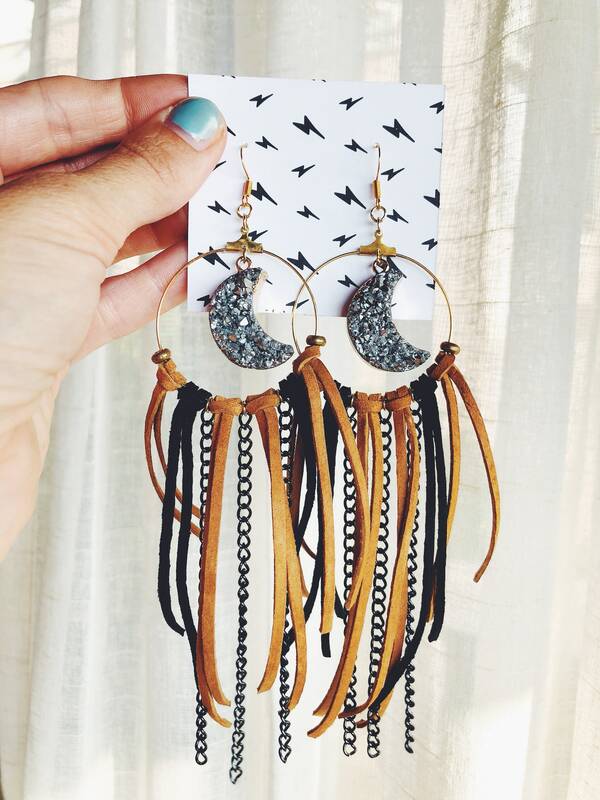 Handcrafted dangle hoop leather or onyx bead earrings with a silver druzy crescent moon gemstones. 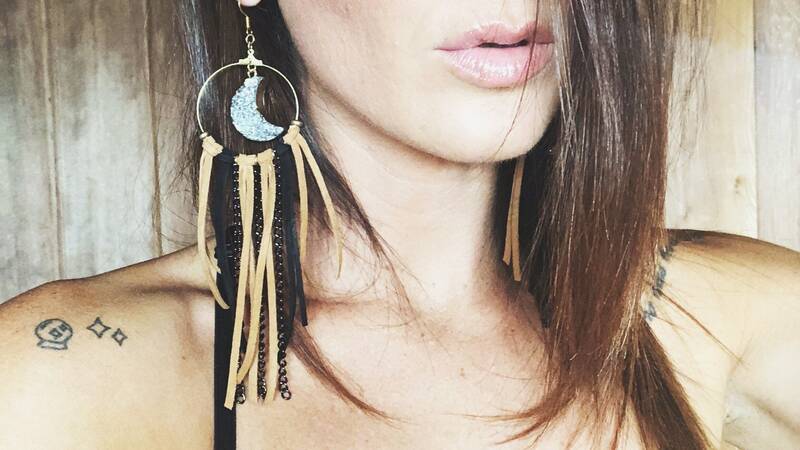 Each pair of earrings are lightweight, made with a druzy moon gemstones and black/tan leather or black onyx beads and chunky gunmetal chain. 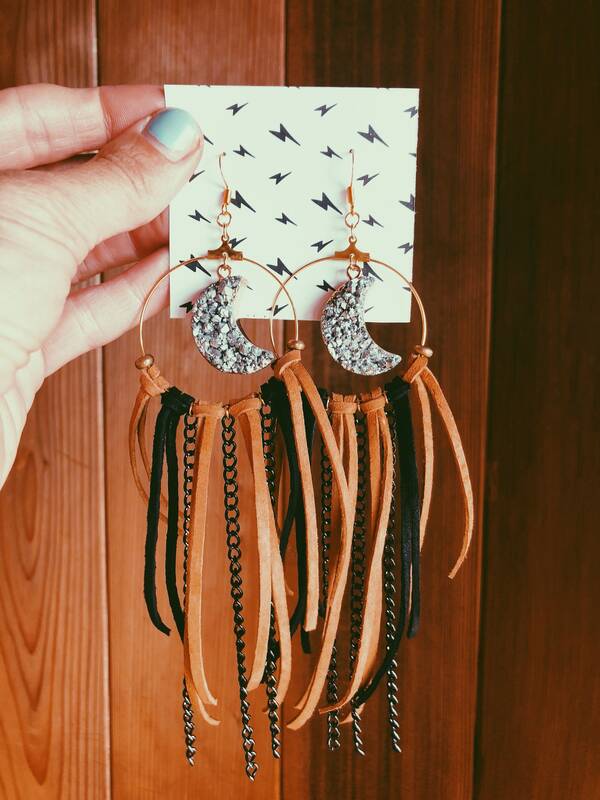 Other leather variations are available, please message me if you would like a custom color set.